The volleyball setter role on the team and special skills they possess are critical to team success. When to Set and Why? The set is usually the second team contact. The first contact is a pass. The purpose of the pass is to place the ball into an area that's easiest for a setter to get to the ball and set it. The setters job is to set an attacker. The setters job is very important because the better a setter is at setting an attacker, the more likely the attacker will hit the ball successfully to score a point. A point is score when the attacker hits the ball in a way that the opponent can't return it. Everyone at all levels should learn how to set a volleyball. There will be times when you need to help out and set a ball to an attacker. Having more than one person that can handset is an important attribute to a team. 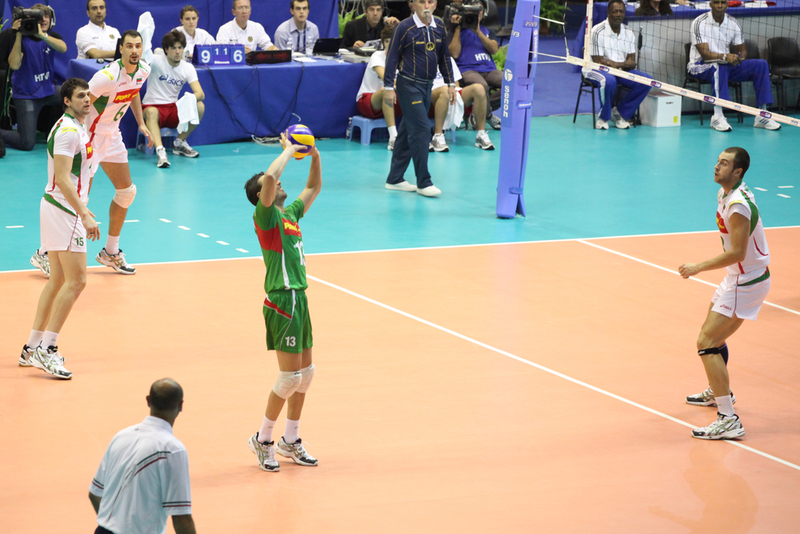 A good volleyball setter can deliver balls at various heights and tempos. Every player should be able to handle the second ball and give hitters a set they can attack. When executing the set, make sure your body gets to the ball before contact so that your feet, hips, and shoulders are facing the target. Your right foot should be slightly forward, with your feet shoulder width apart. Make your hands the shape of the ball. The pads of your fingers, not your palms of your hands, make contact with the ball. You want your thumbs pointed toward your eyes and your fingers spread apart. Your fingers need to be strong and relaxed. You can check your hand position by having someone push a ball into your hands as you set. Your elbows are bent at a 45 degree angle and outside your midline. With the ball in your hands, bend and extend through the ball to the target. The ball should stay in your hands briefly. You should release the ball and fully extend your arms and follow through with your entire body. At the beginner level, most sets are high balls that reach about 3 feet above the net. As players become more advanced, there are 3 different tempos used by higher level players. A "one" is usually referred to as a "quick" or quick set. A one is about one foot above the net. A two ball is a set that's placed about 2 feet above the net. A two is usually a high ball for a middle hitter. A three ball is placed about 3 feet above the net. A middle hitter may run a 32 which means the ball is placed about 3 feet from the setter then about 2 feet above the net. The middle hitter may also run a 31. This is a common quick set for a middle. The ball is placed about 3 feet away from the setter and 1 foot above the net. Perhaps the most common set in volleyball is a high ball outside set. This is commonly referred to as a 4 ball. Most teams that run a basic offense set high balls outside. These sets are most common because they are the easiest sets to hit. 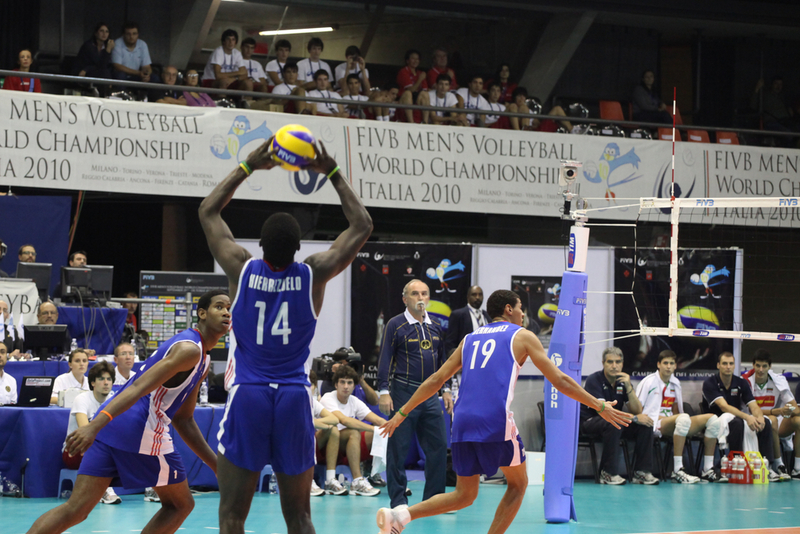 For example, if a passer makes a bad pass, the setter may still be able to set a high ball outside. The outside hitter will likely still make a good attack even though the pass to the setter wasn't great. This is different than when the middle hitter is trying to hit a quick set. For example, if the pass is way off the net, it's difficult for the volleyball setter to set quick to the middle so they are more likely to set high to the outside. Receive My Best Setter Training Tips!